The Lofoten Islands and Kjerringoy, located on the coast of mountainous Northern Norway, is one of those adventures. With pleasant summers and mild winters (due to the Gulf Stream), the Lofoten Islands consist of granite rows jutting from the Arctic Sea. The surrounding mountain range is simply jaw dropping, and is reflected in the surrounding blue waters. The Lofoten Islands are dotted with postcard-worthy, apple-red fishing cabins (rorbuer), which housed the cod-catching fishermen during the winter season. The waters are still fished by Norwegians, but the preserved dwellings now serve as comfortable, modest guest cottages. Cod is still a staple on local menus, so visitors won’t want to be unprepared. Across the water from Lofoten is the traditional trading center of Kjerringoy, which is now preserved as a 15-building, living museum depicting traditional, nineteenth-century Norwegian life. Here visitors can learn about fishing, trading, crafts and folklore, and spend time relaxing in the café and garden. 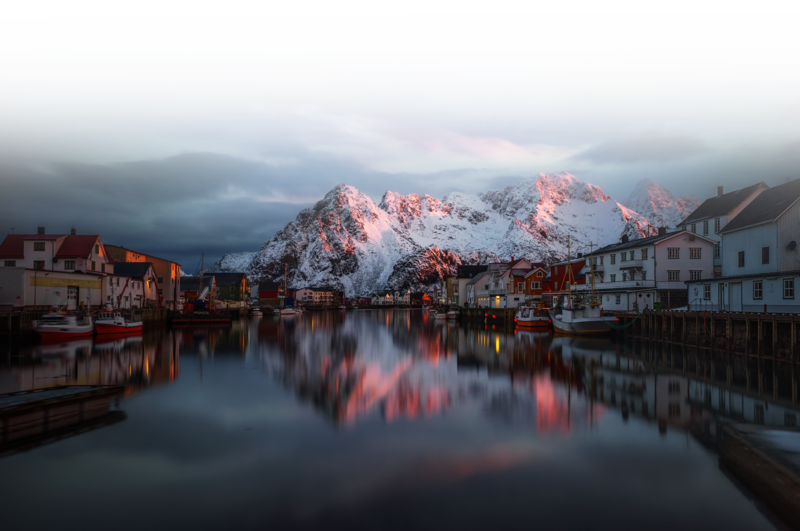 Because Lofoten’s weather is so mild, it offers ideal conditions for boating, kayaking, biking, and hiking the short-but-steep trail from the village of Moskenesøy, up the Reinebringen, for a once-in-a-lifetime Arctic panoramic view. Lofoten also is a world-famous mountain climber’s destination, and is the site of the North Norwegian School of Mountaineering. The school is located in Henningsvær, which is considered to be a more youthful community with artisans, hip cafés and the Hus Gallery of art. For those unfamiliar with Norway, an AutoVenture guided tour is the surest way of getting closest to the culture, and of capturing an unforgettable land. The Jostedalsbreen, in Norway, is the largest glacier in Northern Europe. 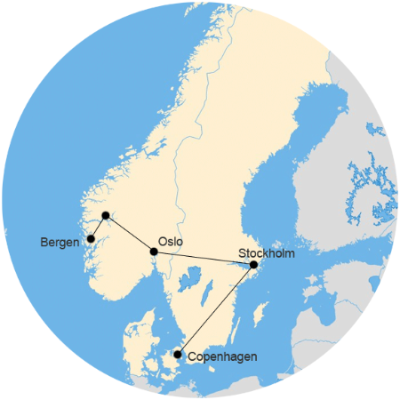 The name "Norway" means "path to the North".